Professor Alison Galloway has announced plans to retire at the end of calendar year 2018. 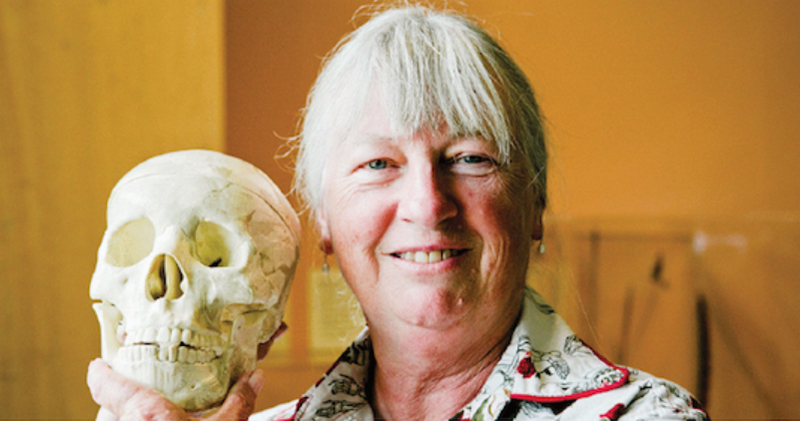 Prof. Galloway is a distinguished biological anthropologist with a research specialty in forensic anthropology. Her research focuses on specific types of trauma across the skeleton, the process of decomposition, and the effects of animal scavenging on the skeleton. Prof. Galloway served as chair for the Department of Anthropology during the initiation of both the archaeological and physical anthropology tracks of the department’s Ph.D. program. As Campus Provost and Executive Vice Chancellor, Prof. Galloway’s commitment to student success was highlighted by her initiatives to increase retention rates for undergraduates, to enhance pathways to allow students to graduate in four years or less, and in securing recognition as a Hispanic Serving Institution. Students will continue to have the benefit of her wisdom and experience through a new online forensic anthropology course that she developed. Besides teaching technical skills—the examination of bones and teeth—the course also enlightens students about the things they don’t find in textbooks: the connection to the victims; the way it feels to work around human death day after day. After retirement, Prof. Galloway plans to move to a ranch near Volcano, CA where she can live with dogs, horses, and parakeets. She plans to continue researching and writing as well as working on forensic cases in the Gold Country.